It's exciting to make new discoveries! When I heard about Sally's Pasta over on Fig Love it sounded gorgeous so I was thrilled to be sent some to review for myself. I first tried fresh filled pasta about 2 or 3 years ago and it was a revelation! We've had everything from the beyond cheap and nasty to the finest on the shelf over the years, with mixed appreciation. Sally's Pasta is a high quality product, made with expertise, love and local ingredients. It's FRESH. Very fresh. The best thing about fresh pasta is that it is amazingly quick to cook. Just a couple of minutes and bingo, dinner's up. I consider myself traditional in my approach to pasta of this nature; I serve mine with butter. It's utterly amazing and trust me there is no going back from it. We were sent the Wild mushroom and Pea and Mint varieties of the Ravishing Ravioli, which was ideal as it was clear which each of us would eat. I don't eat mushrooms and C isn't keen on sweet vegetables. The Pea and Mint ravioli was divine! I ate half a packet as a portion and this prolonged the enjoyment to two meals. 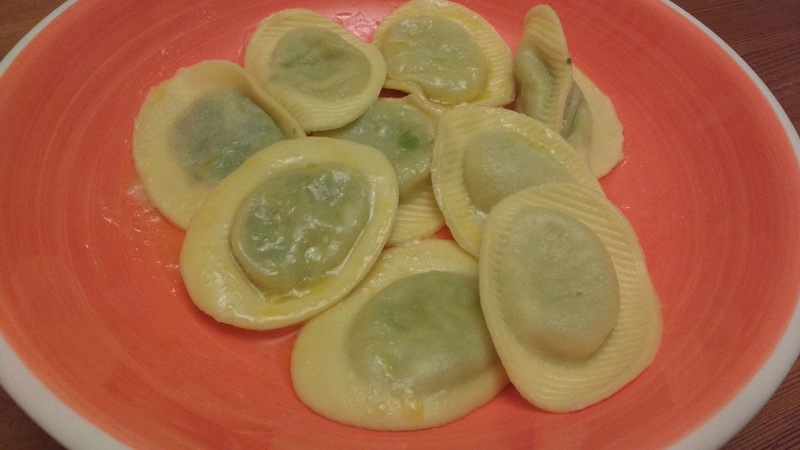 The raviolis stayed intact without splitting or getting waterlogged. The pasta was light and tasty. I was very impressed with how fresh and light the dish was, oh I'm in love! C, who is most particular about his fresh pasta, announced that this was the best pasta he's eaten which is a pretty serious compliment. 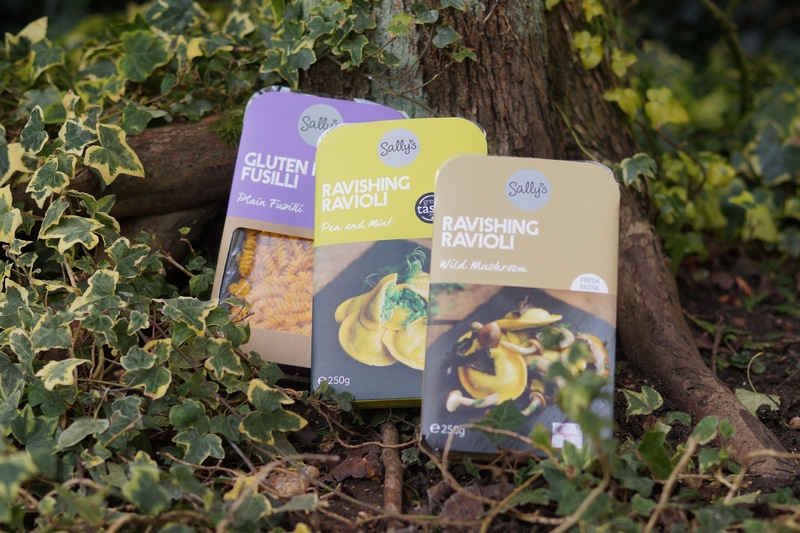 The only sad thing is that I don't know when I can get my hands on another pack as at the moment Sally's Pasta is only sold in a handful of places at the moment, but hopefully will be out our way soon. I'd love to try the butternut squash and sage variety of ravioli too. Sounds delicious! 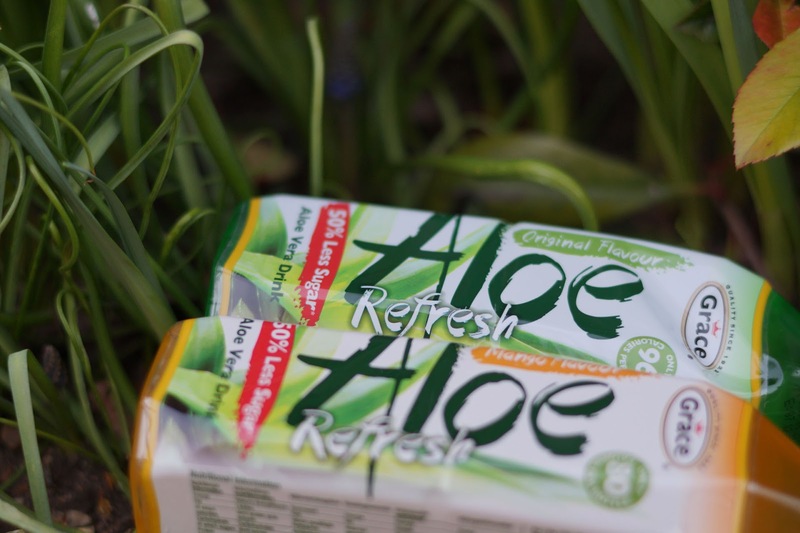 Also newly discovered last week was the concept of drinking aloe vera; I had never tried it in a capacity other than tissue or hand lotion. 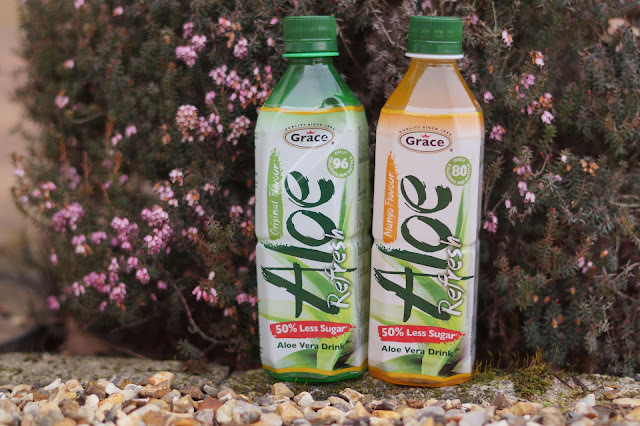 The Grace aloe vera drink comes in Original as well as Mango (and also Pomegranate flavour too). I was a little sceptical of how drinkable something so perfumed might be but was curious to try for myself. A safe bet was to drink the original flavour first as the 'neutral' if you like. I was more than pleasantly surprised with the taste! Sweet and tasty, very moreish and the pulp was great. a pulpy drink is my kind of beverage. If anything I think the original variety was my favourite, but the mango flavour was enjoyable as well. Aloe is apparently a good source of energy and aids digestion, but my main interest is that is tastes delightful. I'll be seeking out aloe more often from now on! Have you made any food discoveries lately?